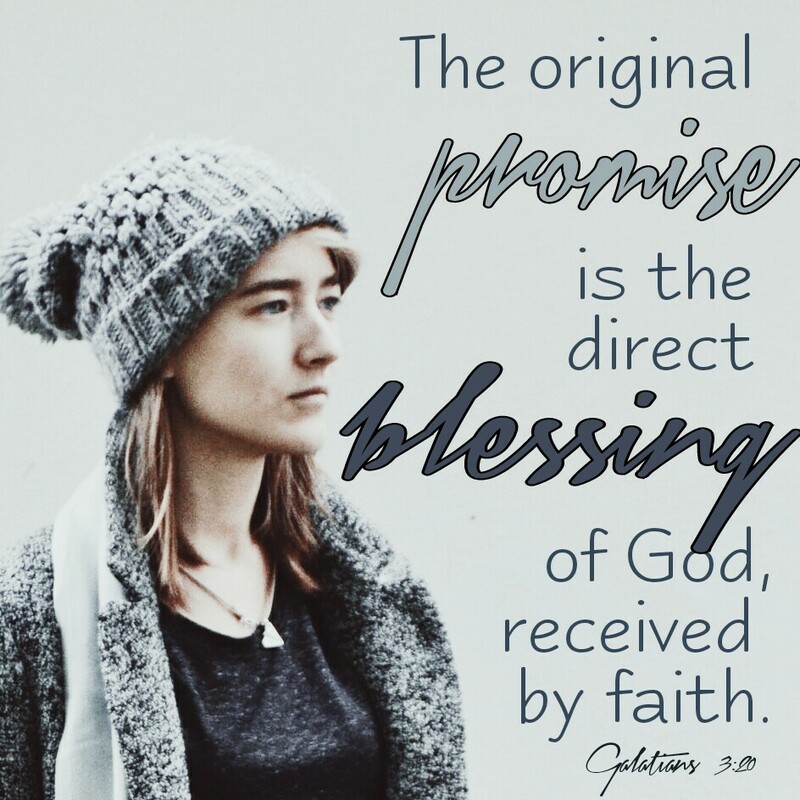 The original promise is the direct blessing of God received in faith. On the days when the moments of pain, grief or hurt try to overwhelm, God tangibly reminds us throughout His Word of His promises. The fact that there are at least 365 of them, depending on which version you read, reassures my heart that He knows we need this reminding know a daily basis. What we need is not a shock to Him by any means. Our Creator didn’t just plop us on this earth and wash His hands of what He had made. He continuously was seen throughout the history recorded in the Word by his people, interactive and present. Reminding us He is with us. Acting and moving on our behalf in ways we can’t even fathom. Speaking love and truth to us. But God went even deeper, by promising us His blessing. His direct blessing has been spoken to each of His Beloved, and offered as a gift of love to each who chose to receive it. Our part is to believe He IS who He says He is and trust His Words ARE true, even when we can’t yet see the fruit of our faith in the here and now. Abraham believed decades before his promised son arrived. Joseph believed generations before Israel was delivered out of Egypt. Hannah believed she had been heard by God after an awkward encounter with a priest accusing her of being drunk in her fervency. Mary believed in faith the moment the angel proclaimed her the mother of the long awaited Promise. None of these faithful knew exactly what was up ahead, but they knew the One who made the promises, and placed their faith in Him. At a crossroads, or a crisis of decision? Grab on tight to the promises of the Promise Keeper. He is who He says He is and He will deliver on His promises. This Promise will never let us go. If eveything else in your world is unsettled, He will be your steady foundation. Reach out and grab the Promise. His hand is always outstretched to you, and is only a prayer of faith away. Thank you for this reminder of His promise. The world is a little unsettled for me right now, but He is my steady foundation. God bless you and have a wonderful week!